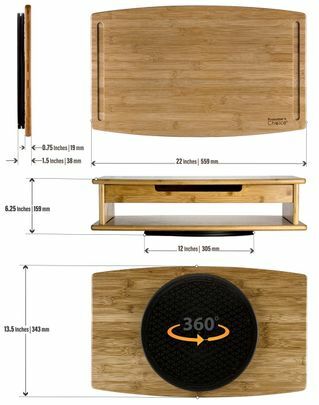 Smooth 360 Degree Rotation: Bamboo swivel rotating desktop riser includes a bamboo platform with a 12-inch durable ball-bearing swivel to smoothly rotate your work workstation or media center 360 degrees with just a flick of the wrist so you can enjoy the perfect viewing angle without having to physically move the screen or rearrange furniture. 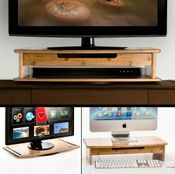 Organizes Desks and Media Centers: Raises computer monitors and laptops to a more ergonomic eye level so you can work more comfortably, the three-in-one TV stand with swivel is an ideal solution for organizing messy desk surfaces or cluttered media centers with a pull-out drawer to hold remote controls or office supplies as well as a bottom cubby to house DVD players, game consoles, cable boxes, keyboards, tablets and laptops. 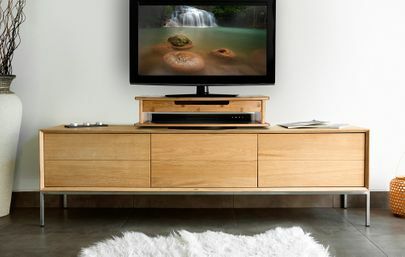 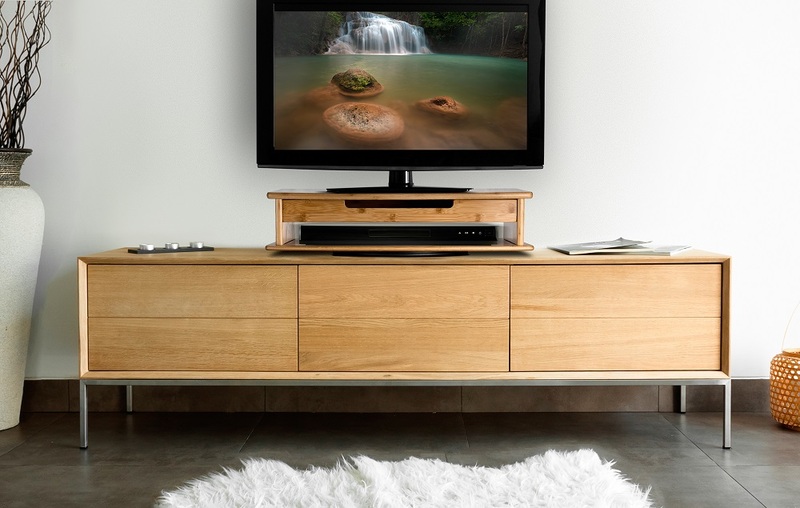 No-Fuss Installation: Pre-assembled with no installation or tools required, the versatile rotating monitor and TV stand includes a separate bamboo platform with swivel base affixed to the bottom and form-fitting grooves on top that securely hold the monitor stand in place or you can remove the bamboo platform and use it as a separate TV swivel in another room. 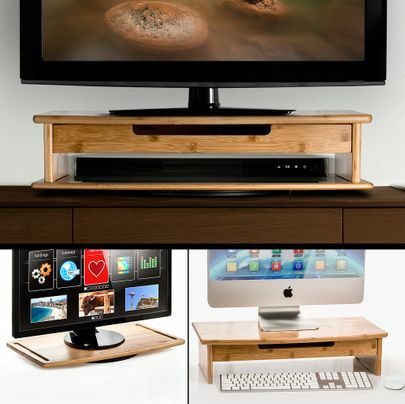 Prosumer's Choice Three-In-One Bamboo DVD/TV/Monitor Stand with Swiveling Base and Pull-out Drawer functions as desktop computer stand that raises monitors to a more comfortable level. 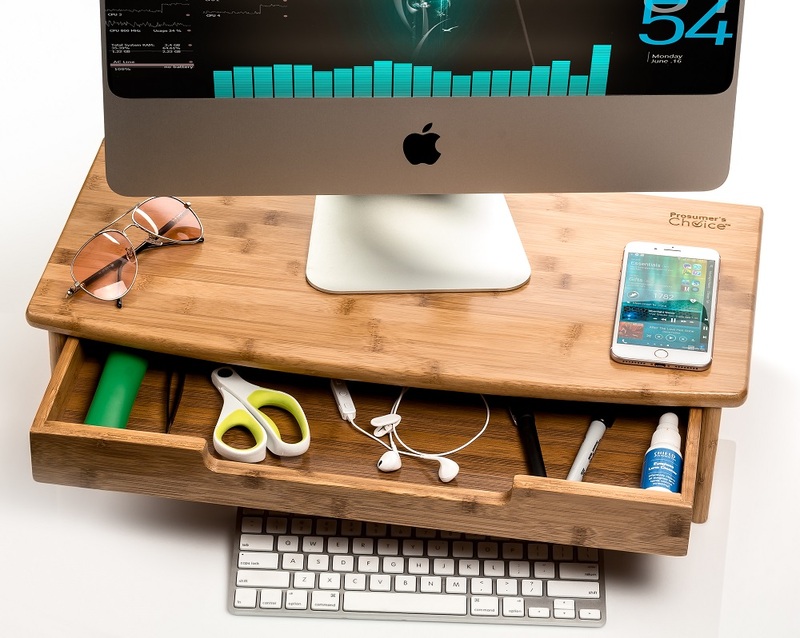 The riser helps organize workstations and media centers with a pull-out drawer to store remote controls, batteries, paperclips and other knick-knacks as well as a cubby area to house game consoles, cable boxes, DVD players, keyboards and tablets. 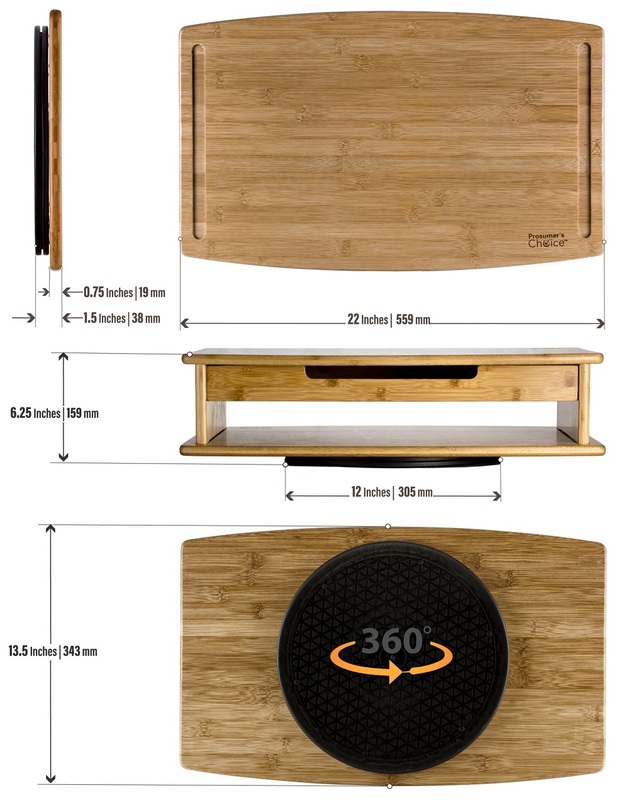 In addition to functioning as a sturdy monitor riser, the stand includes a detachable bamboo platform with form-fitting grooves and a 12-inch swiveling base that allows 360-degree rotation so you can swivel your screen in any direction. 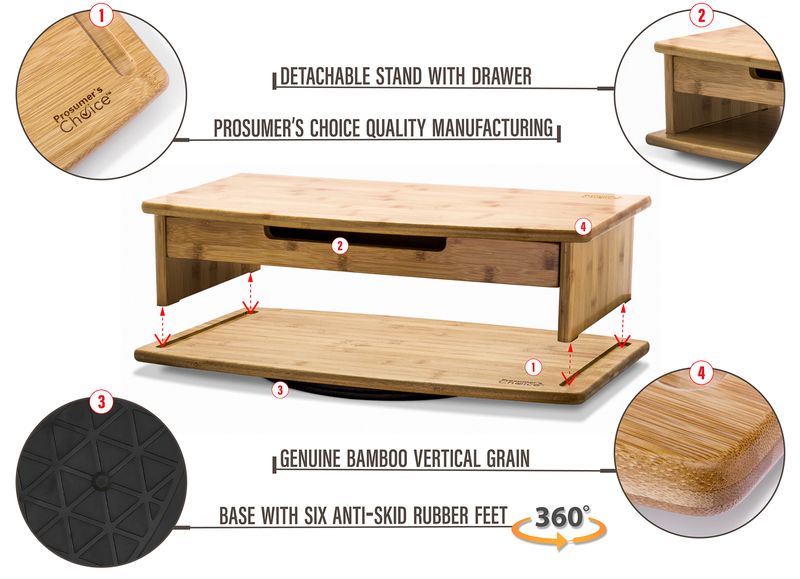 Made of eco-friendly bamboo that is certified by the Forest Stewardship Council (FSC®) as 100% natural bamboo harvested according to forestry standards from sustainably and responsibly managed plantations that support healthy eco systems, this clever and practical monitor riser and storage shelf has a natural finish that blends easily into any room or office e and is a more attractive and sturdier alternative to pressed wood stands. 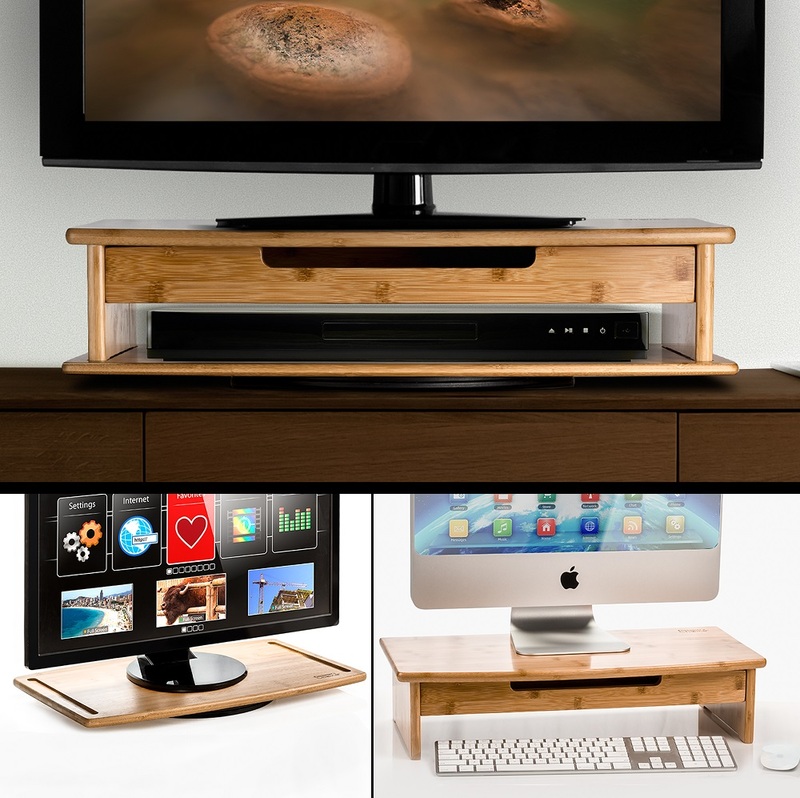 Ideal for desks, credenzas or kitchen counters, or to add a miniature media center to your RV, the Prosumer's Choice three-in-one laptop stand with swivel base is designed to maximize space with a small footprint and low profile.